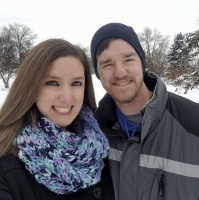 Rodney and Linda Bettenhausen of Palatine are pleased to announce the engagement of their daughter, Dana, to Andrew "Andy" Orr, son of Carl and Sheila Orr of Lombard, Illinois. Dana, a Palatine High School graduate, received a Bachelor's degree in Elementary Education from Northern Illinois University in 2015. She is employed as an Instructional Assistant at Manor Hill Elementary School in Lombard, Illinois. Andy is a graduate of Montini Catholic High School in Lombard and received a Bachelor's degree in Bio-Medical Engineering from Illinois Institute of Technology in 2014. He is employed as an Engineering Technician at Abbott Laboratories in Lake Bluff, Illinois. Dana and Andy are planning a July 2019 wedding.